The security and safety industry has seen tremendous advances in cloud-based access control recently as cloud computing has opened up a world of possibilities for security and access control. Whether controlling access for a single door or for an entire enterprise spread out over multiple locations, cloud-based hosted or managed solutions allow security dealers and monitoring companies to provide end users with cost-effective, fully-functional turnkey solutions. The benefits are many and growing as outlined below. Hosted access control eliminates the need for dedicated employees to manage the system, generating additional cost savings. All access information can be stored and managed by highly trained professionals operating from a remote operations centre. System functions, including adding, modifying and deleting users, assigning individual access levels, programming scheduled door locking and unlocking and other vital access control actions can be performed remotely by professional monitoring providers on a 24/7 basis. Beyond initial deployment, this model also eliminates many of the ongoing operating expenses associated with access control systems, including the cost of site visits to repair or update system components. For example, software providers regularly release updates that improve the functionality and security of their solutions. Installing these updates manually may require a technician to make a site visit, which can add cost to the system. Alternately, updating software may depend on the end user to complete the process in house. In these situations, updates often go uninstalled, often for long periods of time, leaving users without valuable new functionality and more susceptible to security breaches, etc. Under a hosted access control model, security professionals manage these updates and other system functions remotely, without disrupting the system’s operation. In addition to handling updates, providers can also ensure that systems are regularly backed up remotely to ensure continuity and the availability of critical audit trail information in the event of a network outage or other disruption. Beyond regular system operation, updates and backups, cloud-based access control enables remote system diagnostics allowing dealers and integrators to detect and address potential problems with devices, networks and other system components quickly and often proactively. Many issues, such as rebooting a device, can be addressed from the monitoring centre, eliminating costlier site visits and further contributing to savings. This ensures maximum system uptime and reliability, which are extremely important in any security application. An added bonus is the recurring monthly revenue (RMR) security professionals can generate by providing these services on either a standalone basis or as add-ons to traditional maintenance contracts. 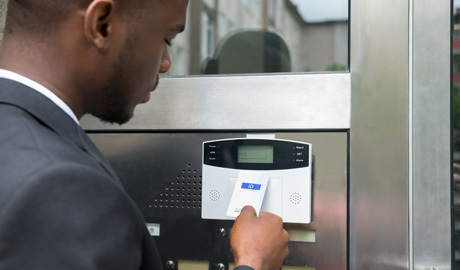 Hosted access control systems are monitored constantly, which reduces the potential for access credentials to be shared and eliminates the ability for missing or stolen cards to be used to gain unauthorised entry to a building or sensitive areas within. Should an employee be locked out of a building during non-business hours, the monitoring centre can verify the individual’s identity and remotely lock and unlock doors he or she is authorised to access. Access data is collected and maintained remotely to generate hassle-free reporting of system usage, which is often required for compliance with company, industry or government regulations. 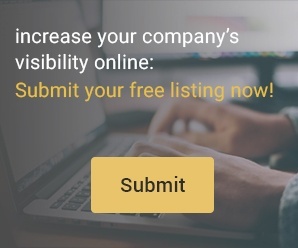 These reports can be provided either on a regularly scheduled or on-demand basis. 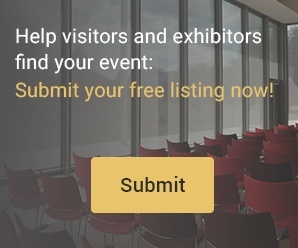 Dealers and integrators don’t have to take on all product solutions to offer this option. Rather, they can partner with best-in-class providers who offer the solutions and services that make up a robust, fully-functional system. Open platforms that enable seamless integration between door hardware, access readers, software and other system components allow dealers and integrators to utilise best-in-breed solutions from providers who specialise and excel in their specific areas, and who are able to focus on what they do best rather than trying to provide an end-to-end solution themselves. Potential applications for hosted access control are seemingly unlimited given the ease with which cloud-based access control systems can scale, making them appropriate for practically any size customer and application. The flexibility and scalability of these systems allow users to specify the level of control they need now and easily add doors later as needed, ensuring that the system can keep pace with an enterprise’s growth as well. Taking advantage of the many benefits of the cloud to deliver hosted and managed access control solutions is an innovative way to meet the needs of any end user, particularly those who lack the budget and other resources to host and manage their own localised system. Best of all, by working with trusted partners to deploy, administer and maintain systems, end users are able to devote their time and energy to their core business and operations. Business opportunities continue to flourish for access control systems but there are even more possibilities when the system is integrated and made available as a turnkey cloud based managed access solution. Whether it’s the need to reduce costs, improve security or simply to upgrade to new technology, cloud-based managed access control systems, created by industry professionals, answer the need.